Welcome to my very first 'Sewing with me on Saturday' Post! The first post for this series will be getting to know the basic functions of a sewing machine, although there are MANY models/makes of sewers out there the basic functions are relatively the same. I am assuming at this point you've got your machine plugged in? 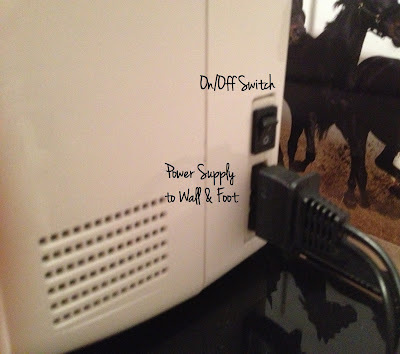 If not it's very simple, on the side of your machine there will be an on/ off switch alongside a plug connection. The plug that goes into this connection will have two cords running from it, one connects to a power point and the other to your foot pedal. I myself have accidentally pushed on the foot pedal whilst having my hand close to the machine so for this 'tutorial' you don't need to turn the machine on at all. 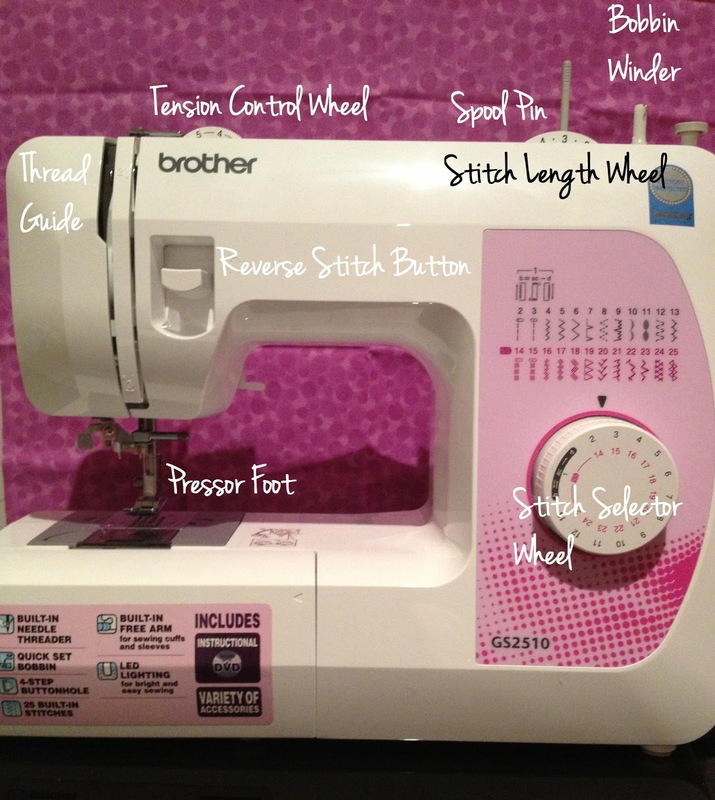 When I purchased my own machine (all 5 days ago) it already a 'universal' needle fitted, however there are several circumstances where you might need to install a new needle so I thought I would go over this briefly. There will generally be a metal bar (going horizontally) with a screw top at the end. To install/change a needle you unscrew this top which will loosen the needle making it easy to pull out. 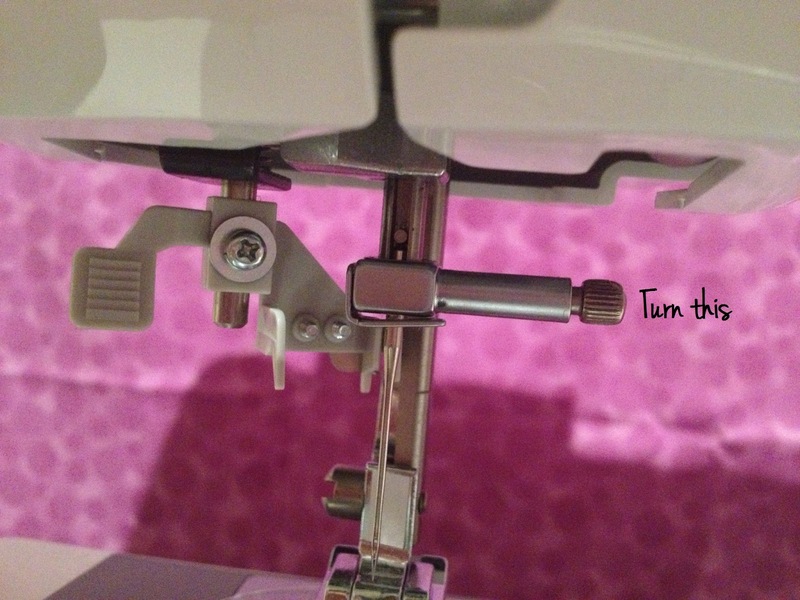 Then to insert a new needle you simply push it up into the hole and tighten the knob once more. 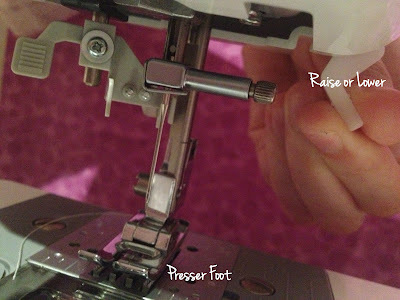 I was daunted at first when I learnt there were different types of presser feet. I wasn't sure what you would need a different foot for, let alone how I would change one, however let me reassure you that the process of removing/ replacing one is very simple. The foot is used for holding fabric down and guiding the needle, there is a lever on the right (as pictured below) which can be raised and lowered accordingly. The particular machine I have uses a snap on technique, I raise the lever up then locate a button on the back of the bar (generally quite small) which holds the presser foot, press this and the foot simply falls off. To replace the foot I keep the lever raised, line up the new foot, then lower the presser until it 'snaps' onto the clamp. I hope this has been somewhat helpful. I was aiming to do a YouTube video today to go alongside this post however at this point it is still in the drawing board stage. Would this be something you'd like to see a video of? If so let me know if the comments below and I will aim to get it completed this weekend for you all. Next Saturday I will be going over the basics you will 'need' (what's recommended) and what I have in my sewing kit as I am just starting out too.